This March held the very first “Brilliant Books” Literature Festival at Insole Court in Cardiff. We were lucky enough to start the festival off with a pre-launch book event for the SeaHouse ~ a month before the book is published. We had a full room! There were bubbles to make us feel like we were underwater and Lucy read some chapters from her lovely story. Meanwhile in the background, I did some live-drawing of some of the characters in The SeaHouse..
On display were some of the black and white illustrations I did for the inside of the book. We had a slide-show of the illustrations too because our audience hadn’t seen the book yet! We wanted the children to get an idea of the underwater world of the SeaHouse and to meet the sea creatures that lived there. 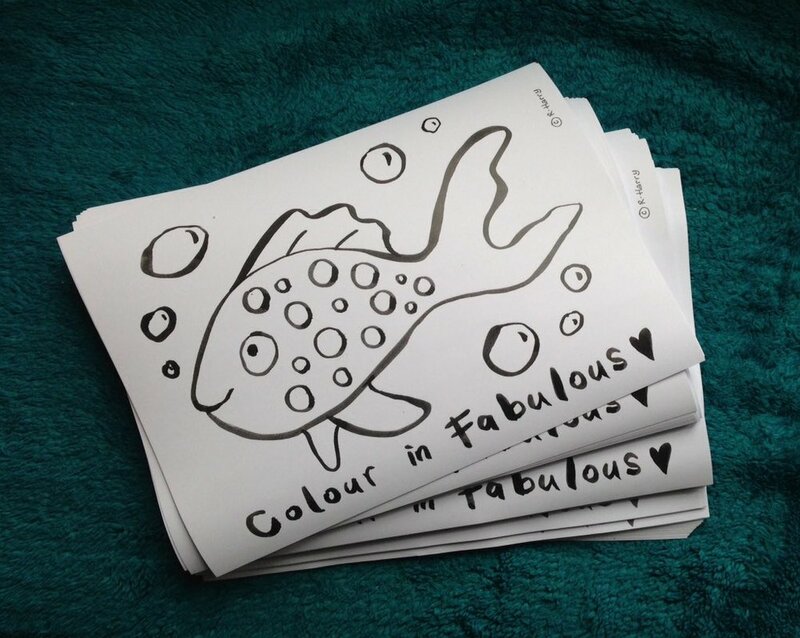 We also introduced them to the main character, Coral and her sparkly fish friend, Fabulous. At the end of the event there was a gift for one lucky member of the audience who had been listening carefully…..
Lovely Morgan was the first to answer a question correctly on the SeaHouse and took home the live-drawing for her bedroom wall. Well done Morgan!! Look at this beautiful work from one of the children….. It was lovely to talk to the audience afterwards and Lucy and I are now looking forward to the Book Launch at the Cardiff Literature Festival on Sunday April 7th.